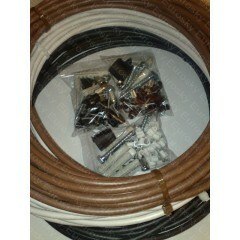 Home » Dishes & LNBs » Installation kit. Equipment for installing and connecting a motorised satellite system. 4x 10mm coach bolts and rawl plugs.